Happy Trails Tubular Tail Rack. Add it to your stock bike or pair it with Happy Trails SU Side Rack for hard or soft luggage. 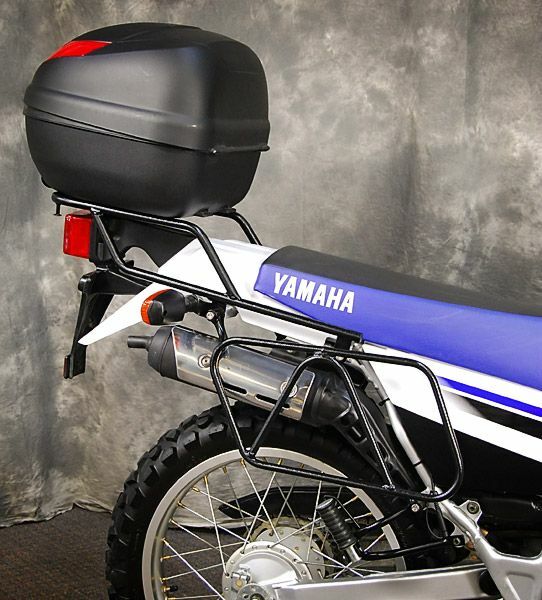 The GIVI E30 Trunk is a great fit for the XT225 Tail Rack. See Photo. Soory but we have nothing. is it possible to install a rotopax on the top of this rack, and if so, which install kit do i need?